Commenced may, 2009, brisbane, australia by visual artist|facilitator sophie munns. Homage to the seed Project launched 2010. Based at SeedArtLab in Brisbane Northside since 2014. Visit Website, IG + FB for updates. Its almost 10 years since I started this blog. Sadly its going on 2 years since I last posted here. 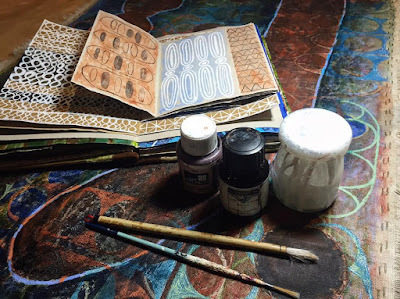 I'm reluctant to close it down for the fact of its wonderful archive of stories on the Art and creativity of many from all around the world ... as well as posts that capture the slowly developing stories from my studio... and some speedy moments too. SeedArtLab ... in the early days it was quite pristine and so organised. 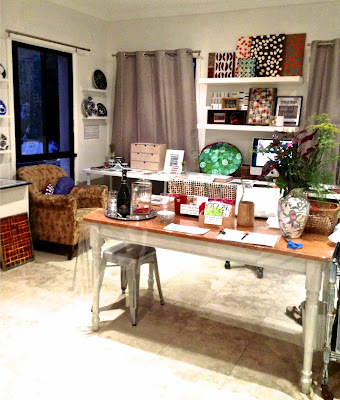 workshops starting soon a spring-clean will definitely be taking place. Ive enjoyed the first really big break in a decade since November when a trip to hospital forced a slow down for medical tests until it was clear what was occurring. Last year turning 60 it was curious how health matters did come a-begging for attention ... and others also around this same age were likewise sharing stories of dealing with changes in their lives. Glad to say nothing too harsh to make me put away my paintbrushes! In fact once I am in possession of a Sleep Machine & have adjusted to it, I've been told I'll regain energy & focus and be back on track in no time so I'm looking forward to that. When this blog got going I was terrified of the process of talking about my ideas and work where unknown people could see it. Its hard to believe how the world was then and how it is now. Too much time can be taken up online so its been quite a journey to work out what the purpose was for me. I started this blog around May 2009 when someone insisted it would be good for me and I finally relented and got started. At first I didnt put my own work up... that seemed wrong... who would look at it and why I remember thinking at the time. By the end of that year though I'd become quite accustomed to posting ... and enjoyed the conversations with a small community of bloggers I'd discovered. I didn't like selfies though so only very rarely did I include photos of myself and that hasn't changed. 2010 I began a year long residency at Mt Coot-tha Botanic Garden in Brisbane prompted by a discovery in the middle of 2009 of the Seed Lab at the BBG where I began volunteering in order to learn more about the work of this Seed Lab which was funded initially by the KEW MILLENNIUM SEEDBANK Partnership based in the UK. I applied to do a residency hoping to pursue The HOMAGE TO THE SEED PROJECT but assuming competition would be too steep and that would be that. Fortunately (for the part of me that keen enough to hope) that most unexpected phone call came in January 2010 inviting me to come & set up my Homage to the Seed project at Mt Coot-tha. With a quite minor awareness of Seeds in relation to the history of human life on the planet I had a great deal to learn. Science had not been a focus of my growing up years & even though in the 2000's I was considerably more fascinated by & open to learning about Science I knew I was starting at the beginning. 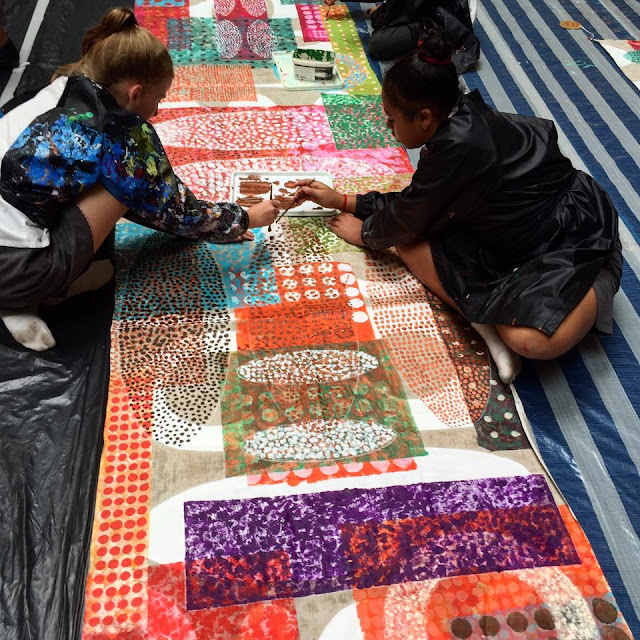 So I read and conversed and researched and discovered throughout the year, trying to keep up with this new flow of information and all the duties and undertakings that came with the residency... to paint and engage with the public. 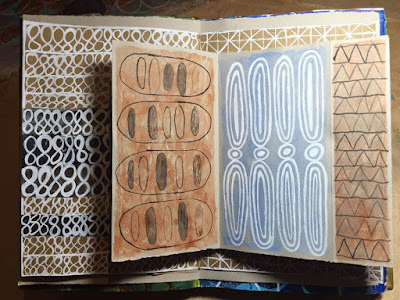 Discoveries were being recorded in a visual journal and a brand new Homage to the Seed blog where links to websites of interest held a lot of reference material that proved highly useful. 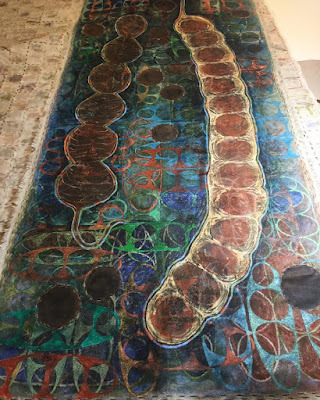 In 2007 I'd begun an MFA at Newcastle University in the Visual Arts Dept... at the same time I was working in schools and trying to keep up my painting practice in my home studio. 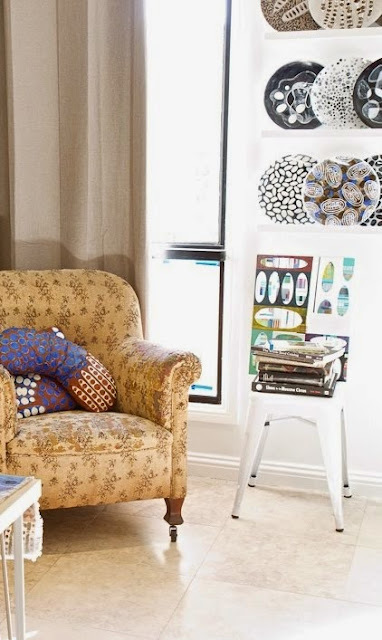 Before the end of that year I was dealing with serious illness and a few months later packing up my home and moving to live with family in Brisbane. A strong desire to undertake a research project pushed me towards to MFA in Newcastle. 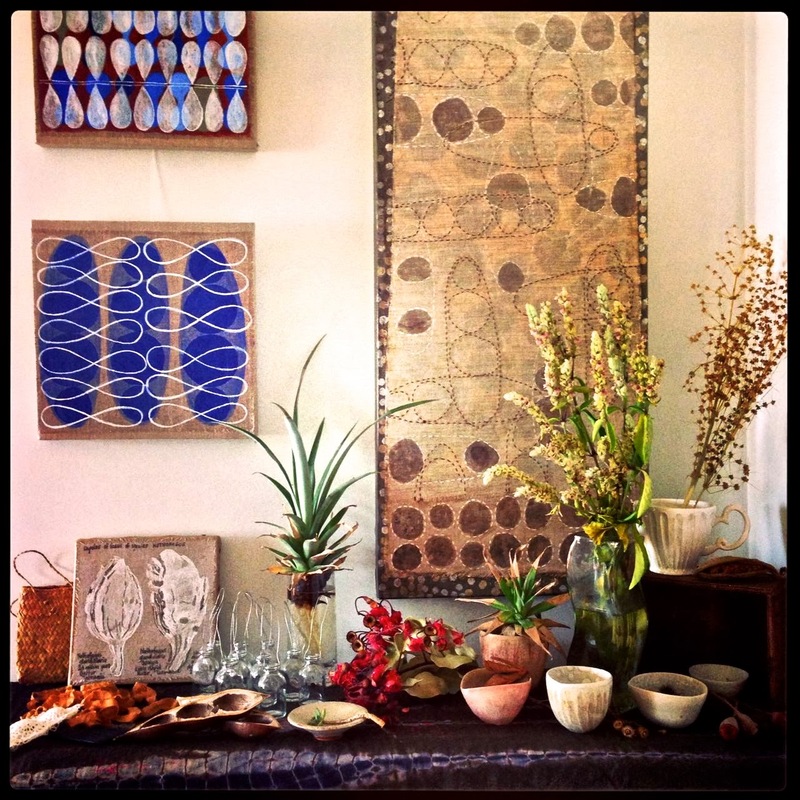 Once settled in Brisbane I pondered picking up where I'd left off but in time gravitated to Seed collecting. 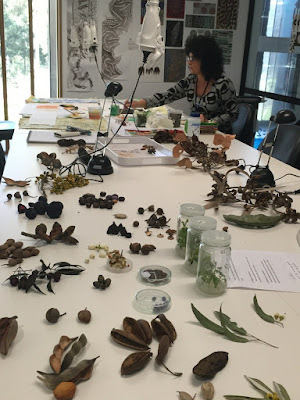 Out of that questions arose which led to connections with all kinds of organisations & most fortuitously with the Seed Lab at the Botanic Gardens. 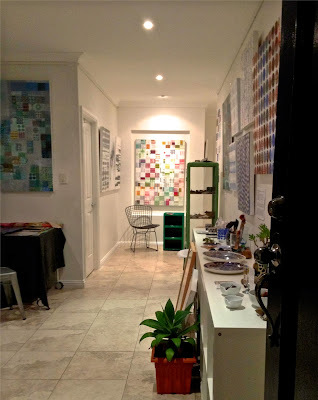 I started another blog as well to document my studio archive. 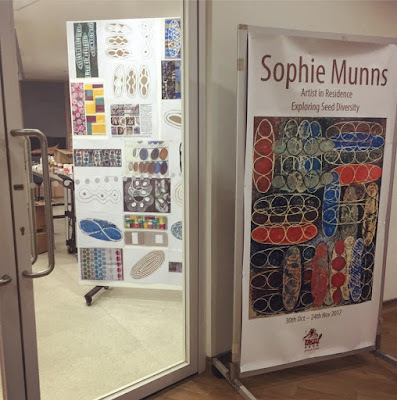 Sophie Munns Studio blog is now almost 10 years old ... the last post in 2017... but you will find most of the residencies and main events are recorded there over 6 or 7 years. 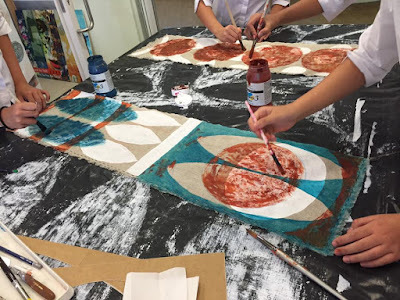 Visiting the blogs you'll find images & stories in posts from the journey that followed Mt Coot-tha. 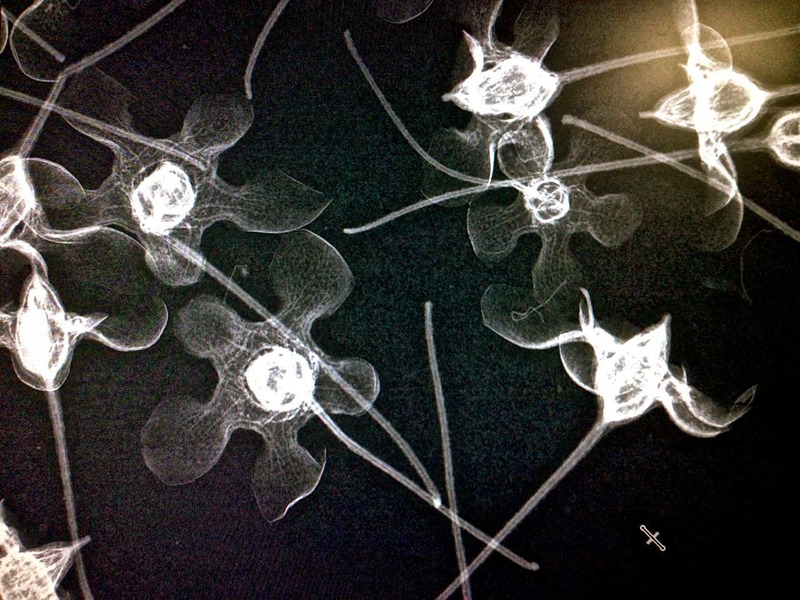 2011 October-November UK Study trip and Millennium Seedbank Residency. 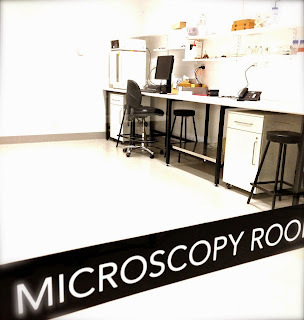 2012 May Institute for Molecular Bioscience, University of Queensland Residency. 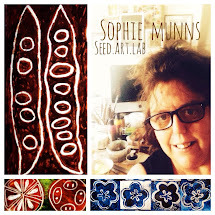 NB: From 2016 onwards most online posting has been done at either INSTAGRAM: Sophie Munns or FACEBOOK PAGE: Homage to the Seed. 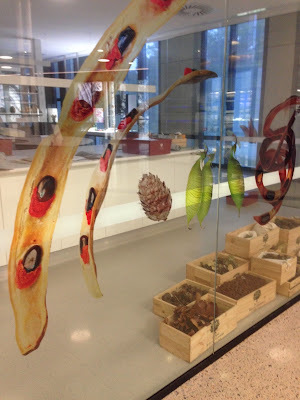 In 2014 I did the first of 3 residencies at PLANTBANK in Sydney, Australia. 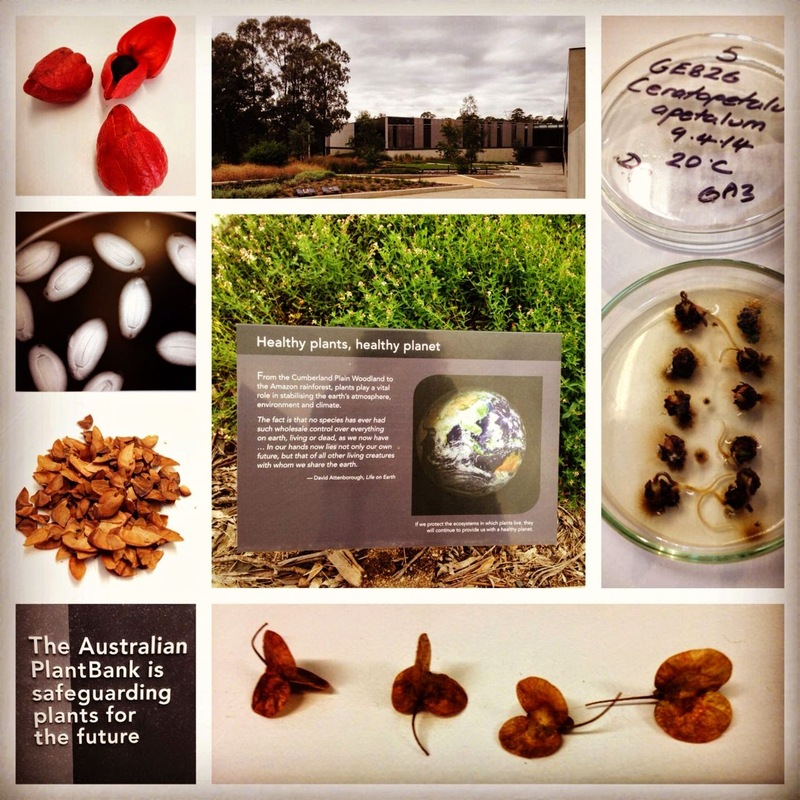 The photos below come from my time at Plantbank. 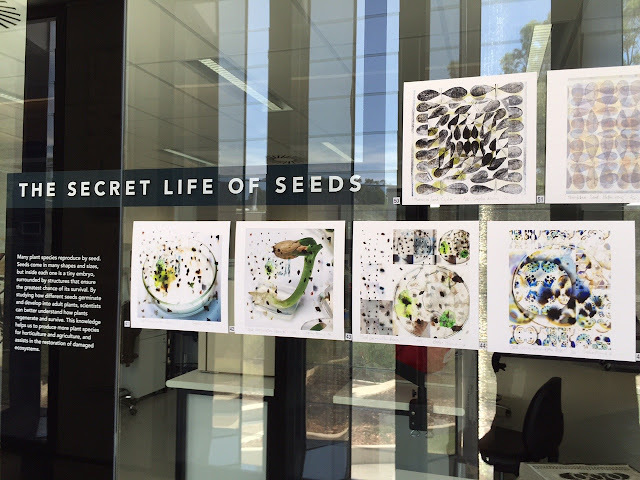 2016 PlantBank Exhibition Seed through an Artist's Lens. 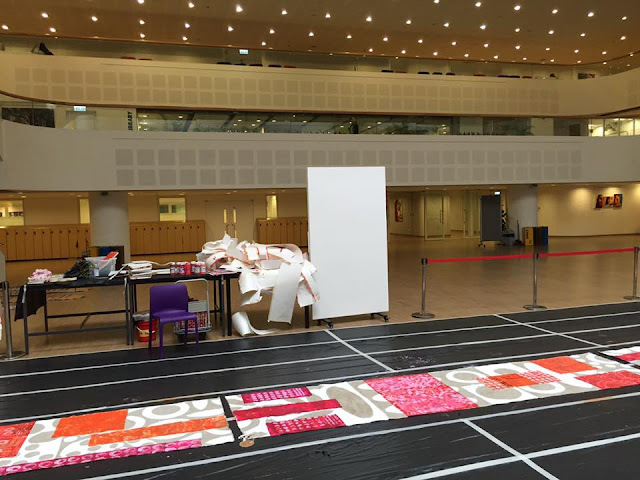 In the Atrium where a week was spent working with student on a 16 metre painting that was later hung in this space. 2019 CALENDAR USING ARTWORK FORM A COMMISIONED WORK FROM 2018. 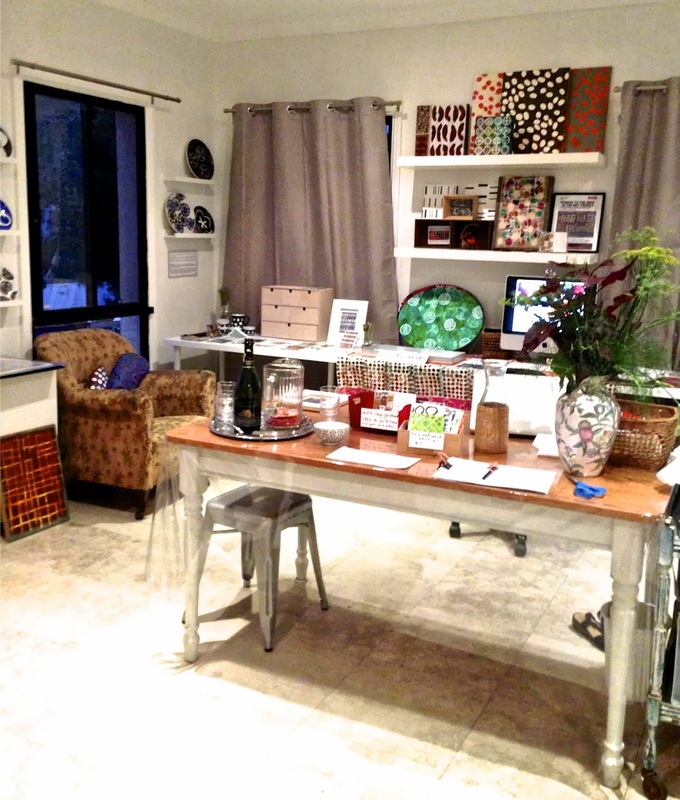 Here's to the tenth year of this blog! 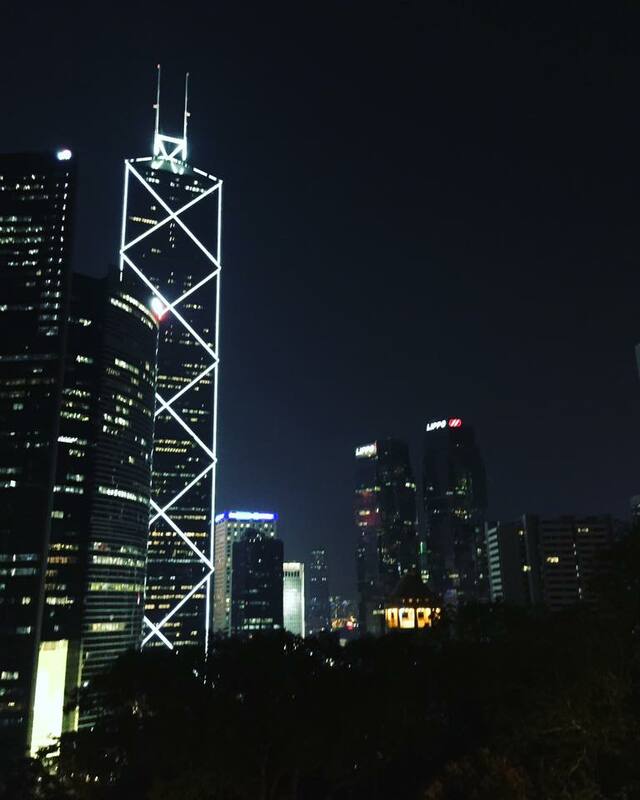 On a Thursday evening, October 26th I arrived in Hong Kong for the second Artist Residency this year. 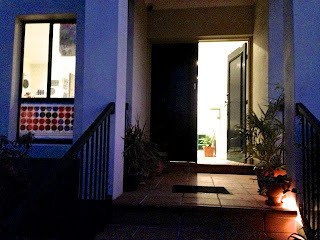 6 Months before i'd booked an Airbnb and managed to meet the host in June before returning form the first residency. This is my view from my new temporary home opposite Hong Kong Park looking across to familiar landmarks in Central, Hong Kong Island. 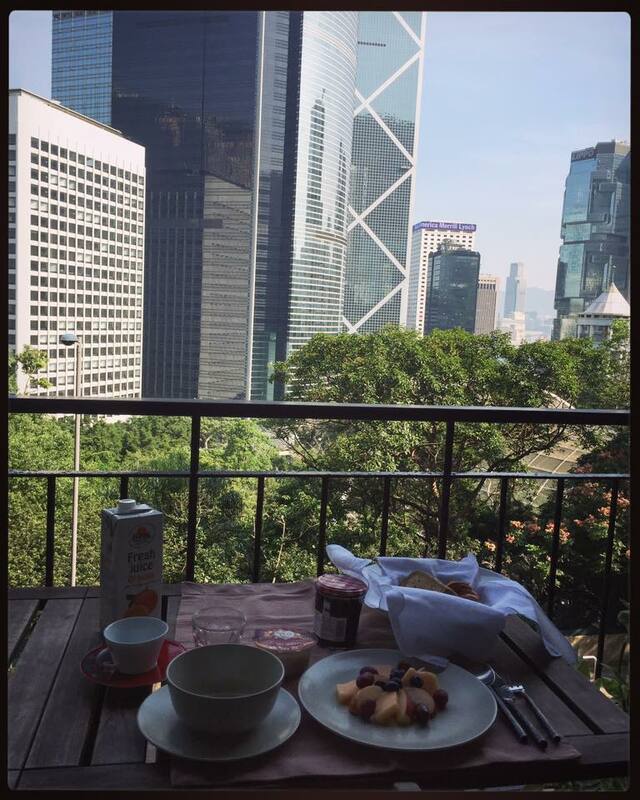 And breakfast next morning took place on the balcony looking across the Bird Aviary in the park. The weather was warm, less so than when I left in Summer but nevertheless in three weeks of Autumn Ive not needed a coat and instead have had to adjust to constant humidity. 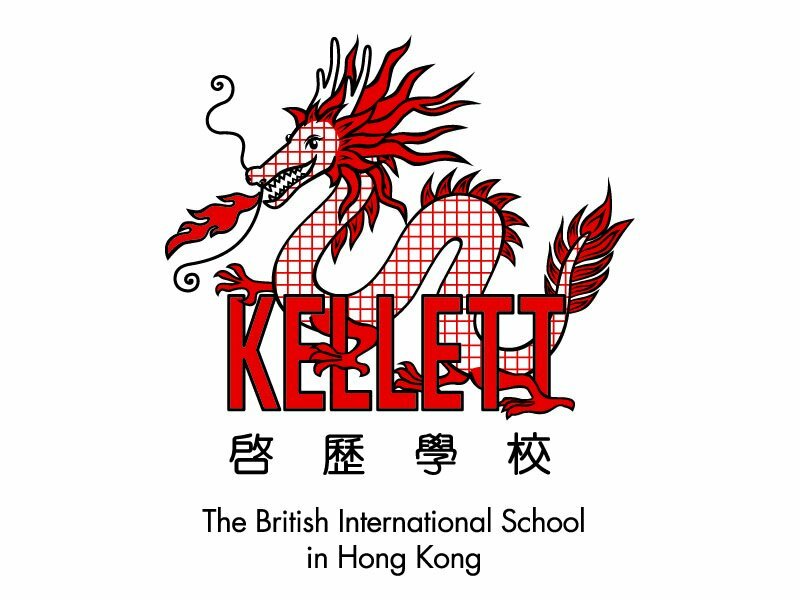 This visit I've been based at Kellett International British School on the Kowloon or northern side of Victoria Harbour in Hong Kong. 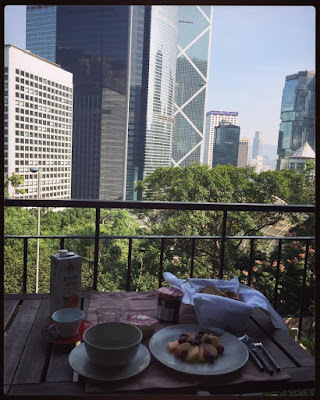 This has allowed me to discover new areas of Hong Kong, cross-harbour tunnel commuting, by MTR, Bus and taxi. 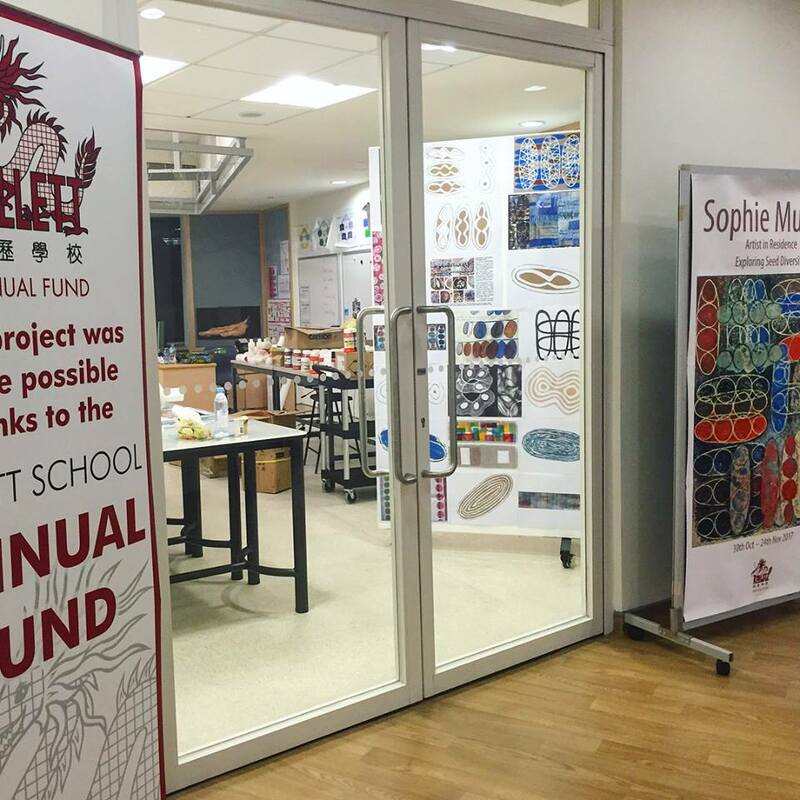 Kellett also has a campus at Pokfulum, close by the School I was artist-in-residence at in May this year ... the International Schools Foundation Academy at Cyberport on Hong Kong Island. Monday morning October 31st was the start of orientation week at Kellet ... I set up in the temporary studio and began working out a program with staff, organising materials and space to paint and prepare for the coming weeks. It was welcoming indeed to discover this waiting when I arrived.... the signage promoted the Annual Fund, a philanthropic body within the school responsible for making this residency possible. A field trip in the first week to Kadoorie Farm and Botanic Garden in the New Territories was a wonderful opportunity fitted into the schedule midweek. I'd not previously traveled into this region with its semi-rural landscapes and beautiful vistas and many people had suggested I visit this stunning and unique place. It wasn't possible to collect seed material as I didnt have permission but I also didnt notice anything although I am sure staff are very aware when and where to find all kinds of seed material throughout the year. 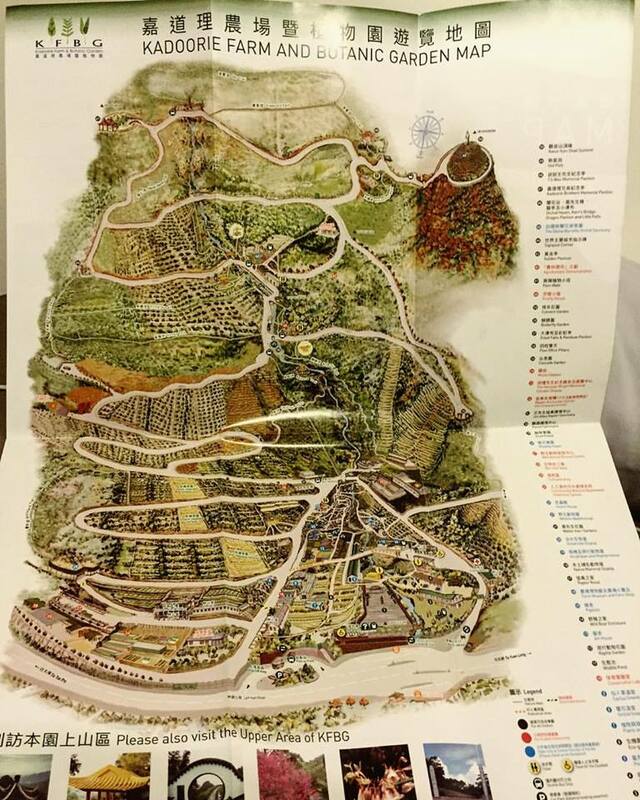 Well with the trip if you are in Hong Kong and wish to gain a fascinating glimpse of tis complex project which has evolved constantly since it was first set up to teach farming skills and reforest denuded landscapes. this residency exploring Seed Diversity through Art with students. 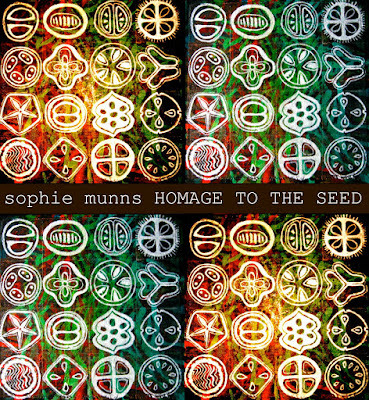 Teaching commenced with lessons structured for Year 7 as well as grades 8, 9 and 12 ... introducing the Homage to the Seed Project as well as the concept of Seed Diversity and how I interpret it as a visual artist. 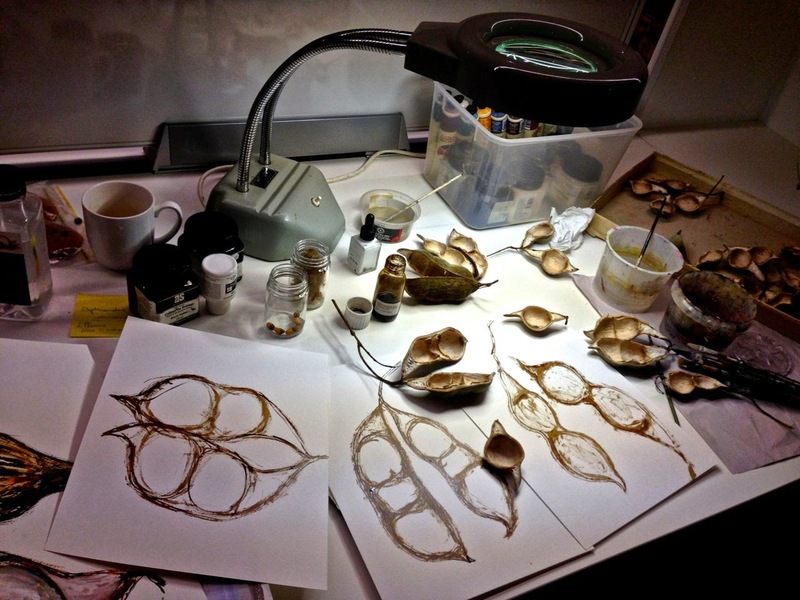 A slideshow & intro to Seed-drawing processes made for a lively week. In the studio several staff members and students prepared the 16 metres of linen ready to paint on in WEEK 3 in the School's Atrium. One 4 metres panel... part of the 16 metre work in prep. 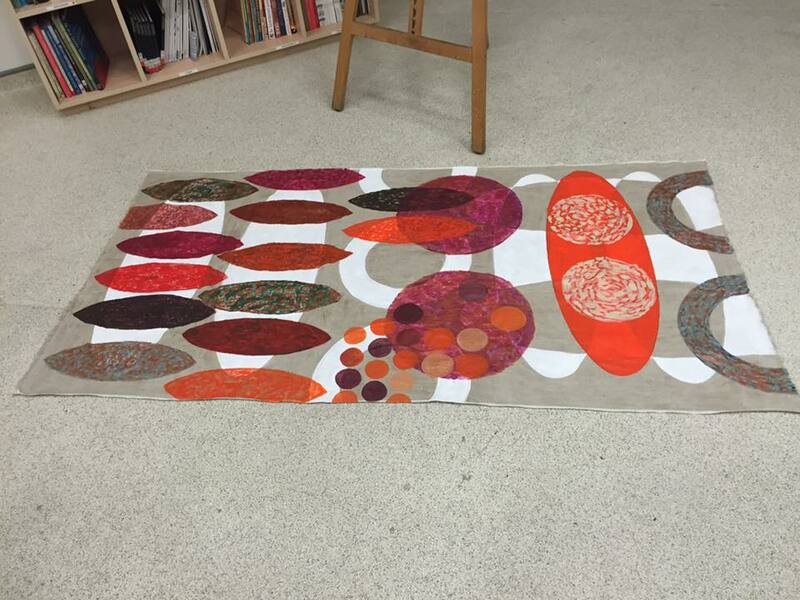 Sample pieve testing the proposed colour palette and motifs. Section of sample piece on linen. 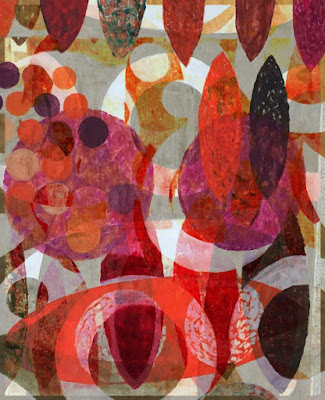 Using Digital Art to play with ideas for the WEEK 3 composition. Stay tuned for the report on WEEK 3 & 4. FOLLOW me on INSTAGRAM & FACEBOOK for regular postings. 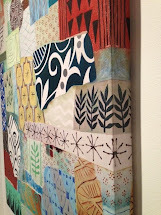 A NEW direction: renaming this blog! Like many of you in the blogging world have probably found ... keeping up with the last few years of changes in social media trends & options has been... well ... sometimes bewildering. I gravitated to Instagram a few years ago... took ages to get used to it but then gradually found it my first go-to place on the internet. 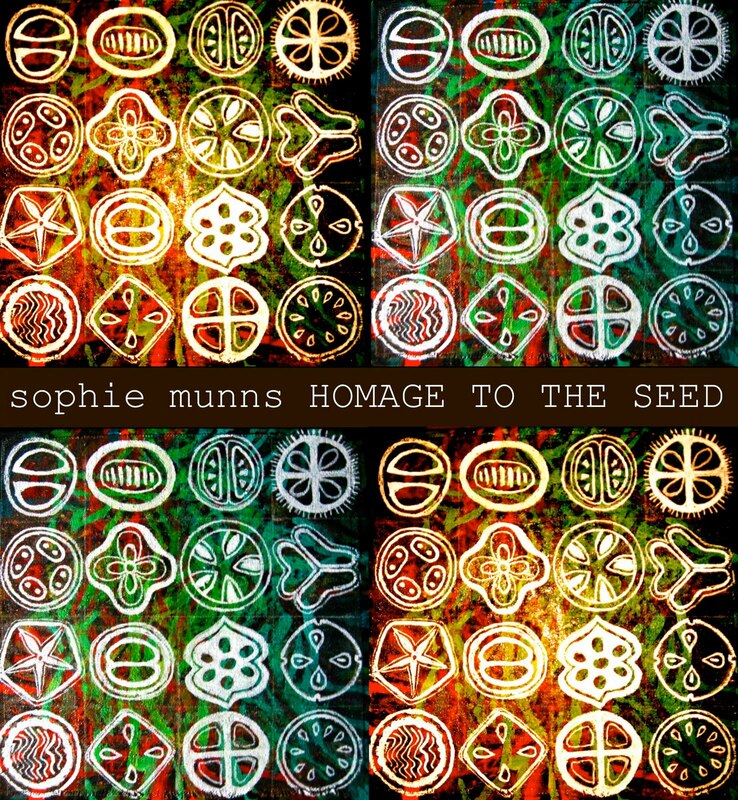 Facebook page: Homage to the Seed I only set up when going to the UK on a Research Trip in 2011... and similarly it took a while to get used to it. 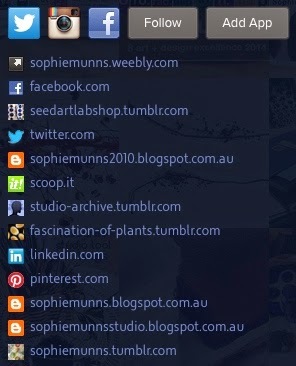 I only began using the Sophie Munns feed a year or so ago... and then in a fairly low key way. 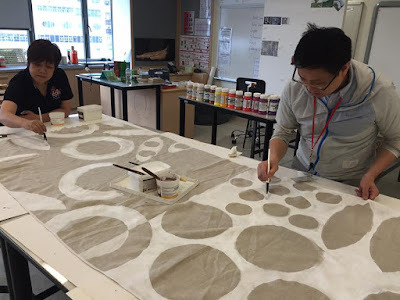 ... well its thanks to Pinterest which I was very active on for several years that my project was found by Julie Emery, an Art Teacher based at an International School in Hong Kong... which led to my first residency in Hong Kong in May this year. If one complains about the time spent keeping up to date online its moments like that which remind one there are indeed benefits to having spent so much time quietly building a profile a different platforms. One can't sit and wait for the opportunities to arrive but the quiet dedication of keeping online threads of one's practice going & interacting widely in the process have enriched and provided lessons for many of us over some years now. Recently I tuned into a week of radio programs on the National Broadcaster in this country discussing the ways the smart phone & social media have encroached on our lives. It was a timely exploration of the impact these tools are having. I was more than ready to reconsider this issue. By 2012 I had ten or so social media sites. 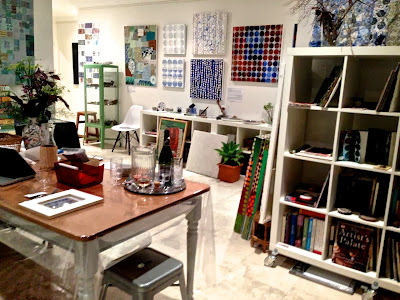 Given I only bought a computer in 2008, and started blogging in 2009 it was bizarre to think by 2011 how hard I was working to keep up with online posting whilst also managing my Art Practice, Artist residences, teaching and speaking gigs, home life and friendships. To say the computer, iPhone and social media changed my life is a vast understatement. 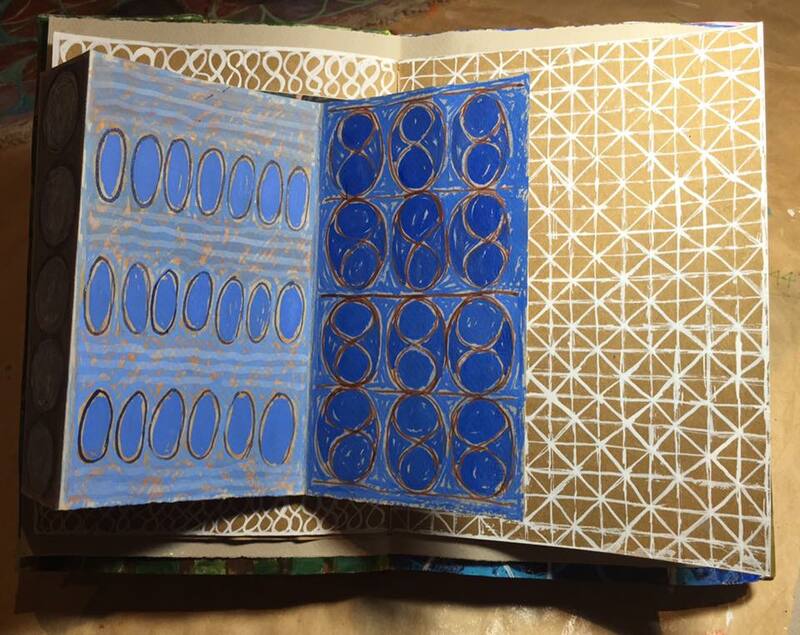 I went from being somewhat locally focused, hand-writing almost everything, extensive journal-keeping and and focus in Slow living before it was fashionable. 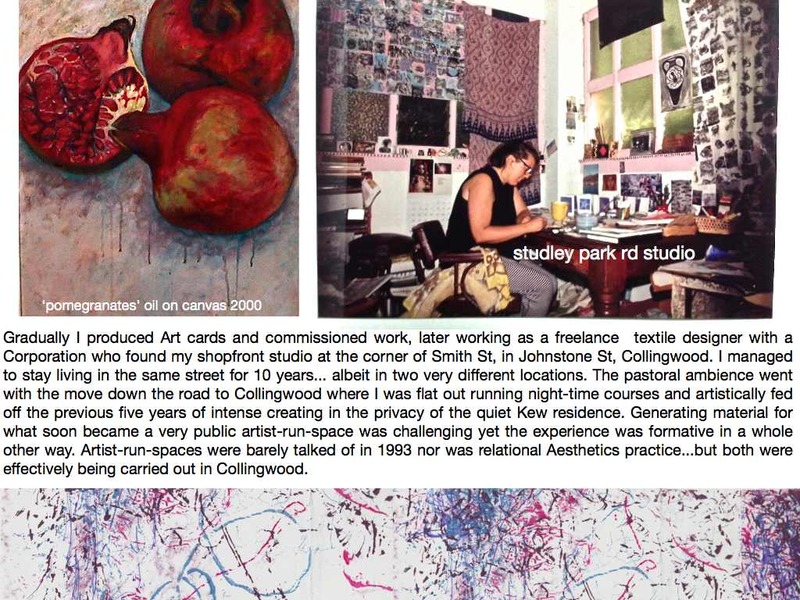 This image below right is from my first real studio ... 1989, Kew, Melbourne when I was 30. 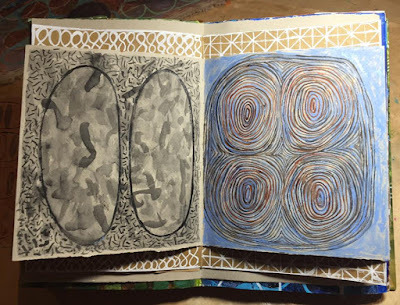 After years as a fairly home-oriented artist, apart from a few bold undertakings, I nevertheless was devoted to keeping the discipline of art practice, and a journal, whether travelling, working or in a studio setting. I liked the world of documentation, reading and thinking & my preference for ideas exchanges was to meet friends in cafes, at events and talk fests like writers festivals. Graduating Art School in 1980 unless a female was endowed with enormous talent, huge self-belief or bucket-loads of pluck it was easier to hide behind a day job, part-time art-making or group art projects than to step up as an artist onto a public stage & take a risk. 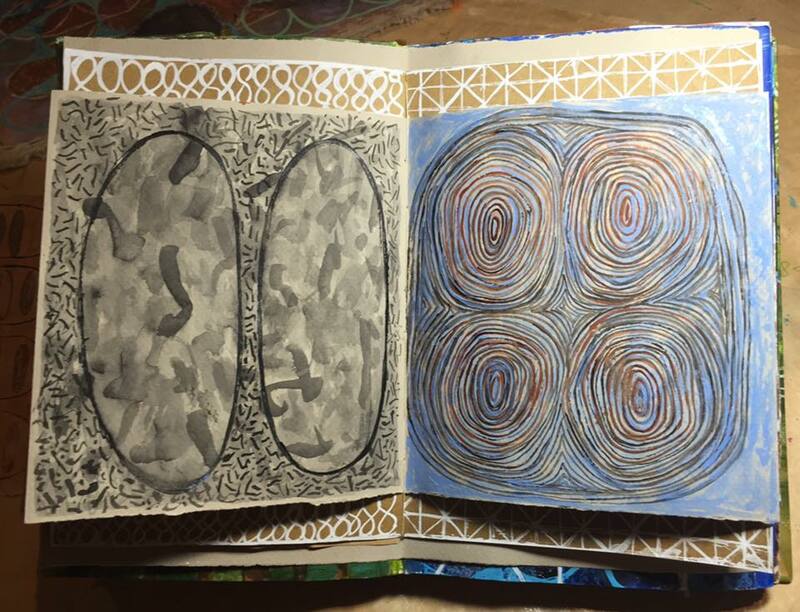 Despite this reticence I was consistent at keeping the threads of my creative passions alive. After a major relocation from Melbourne to Newcastle in 2000, aged 42, I began to address in earnest how my art practice had to change. I didn't need to work any harder at art, be any more serious about my philosphy or content ...but I did need to stop hiding out so to speak... and take some more risks. 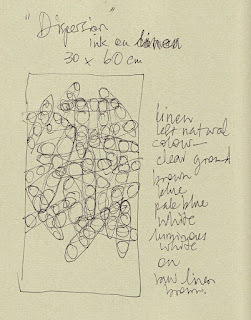 Returning part time to Art School in 2000 & watching first time art students actively promote their early work, print business cards, set up exhibitions and talk about plans & expectations demonstrated a new ethos was alive & well in the Art Schools of this era & my NOT being a more a more public artist was pointless. 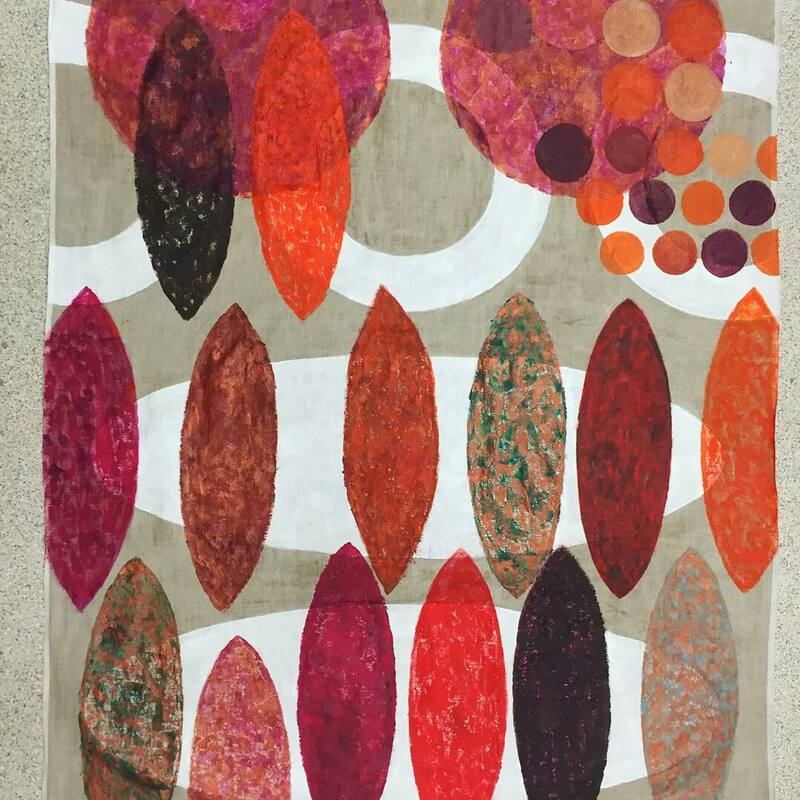 I began to participate in group shows, entered Art Competitions & worked on showing solo. In 2007 commenced a Masters of Fine Arts at Newcastle University. 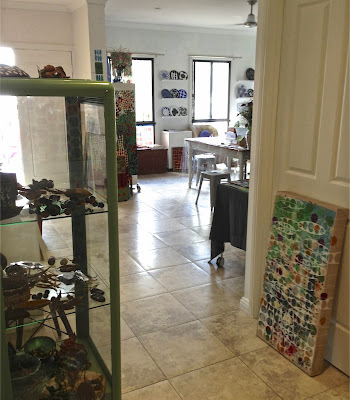 Another major relocation unexpectedly occurred in 2008 following sudden medical complications that saw me leaving work as a teacher in schools and putting the MFA on hold. 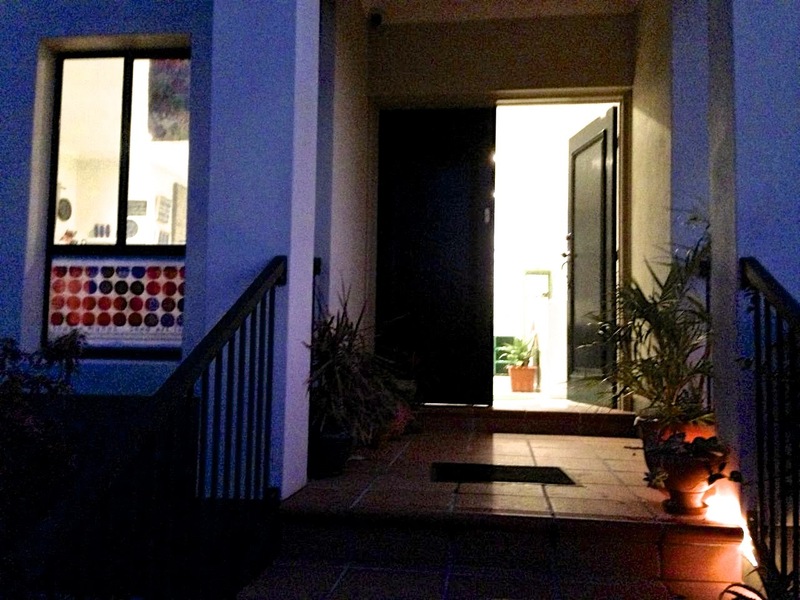 I consequently moved north to live with family in Brisbane. With a new artistic & philosophical direction to develop blogging was the means... the scaffolding... the format to do so. First this blog named then Visual Eclectica. 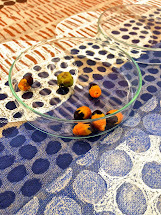 Then the Studio Archive Blog which I've not visited for a few years to post on sadly. Then in 2010 The Homage to the Seed blog began in earnest. I'm very sad that so many images that accompanied interesting posts have disappeared form there now. A scroll through the Instagram feed from the beginning takes you back to the time in 2013 of a significant relocation in Brisbane when I packed up my temporary Paddington Studio went through the slow process of selling the Clayfield family home and relocating with my elderly mother to a more spacious home with an excellent studio plus everything in place to suit her current needs. Although there were some very productive times during this change it was a good 9 months without a studio and managing the chaos. 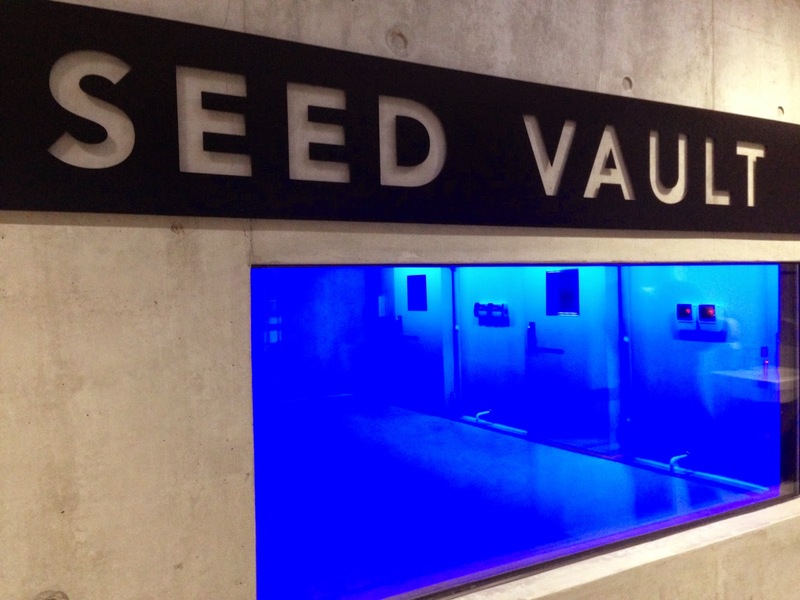 Photos below are taken around the time of the launch of SeedArtLab November 2013. 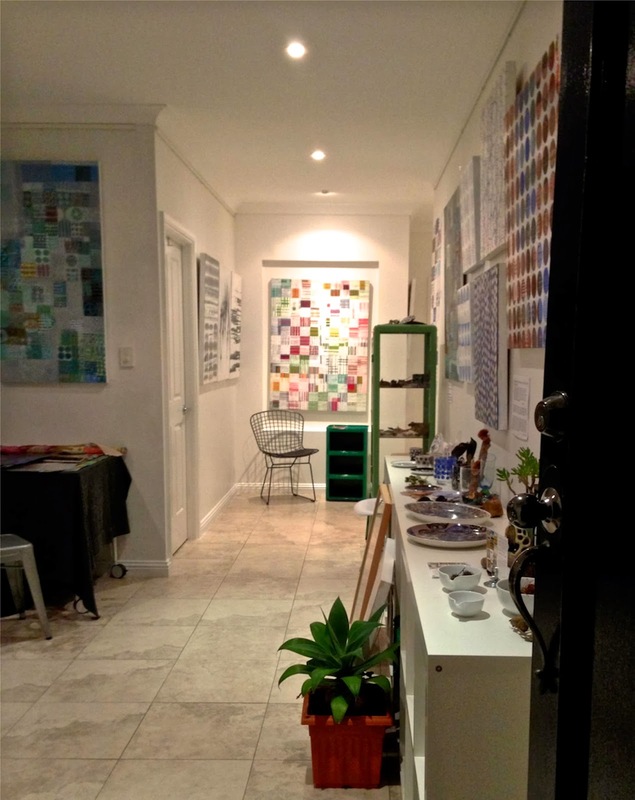 The Instagram gallery therefore tracks the story from the relocation through to the setting up and launch of SEEDARTLAB and a series of residencies, the launch of my workshop program SEEDS THROUGH AN ARTIST'S LENS and all the activities and projects that have filled the period between late 2013 til now. BELOW: Images from PLANTBANK ... location of a series of Residencies in 2014, 2015 & 2016. This leading Australian Seed Research facility, opened late 2013 at the Australian Botanic Gardens Mt Annan in South West Sydney, was an excellent location for furthering the exploration and research for the Homage to the Seed project. 1000's of photos of seed material, notes, interviews, drawings & paintings, workshops and an exhibition resulted from this period of engagement. 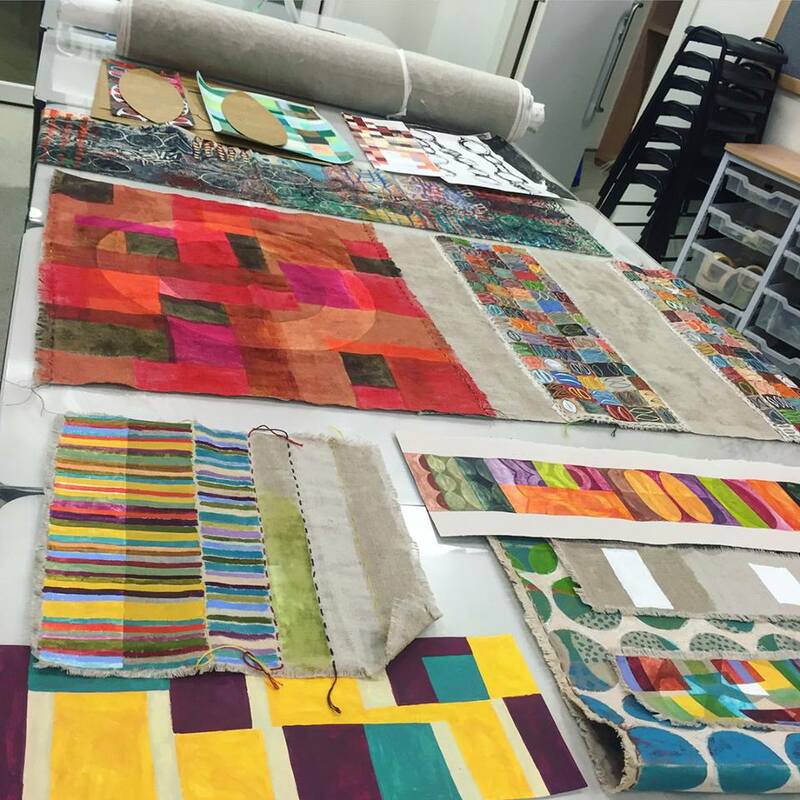 Its worth mentioning that all this material has also been put to great use in various other residencies, presentations and projects that have occurred throughout that period and since. 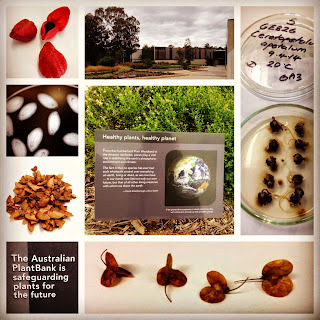 I had hoped to put together a visual book with notes around the PlantBank experience. However I've been kept flat out with other work since April, 2016 when I completed the Plantbank stint and have not found time to get to that. 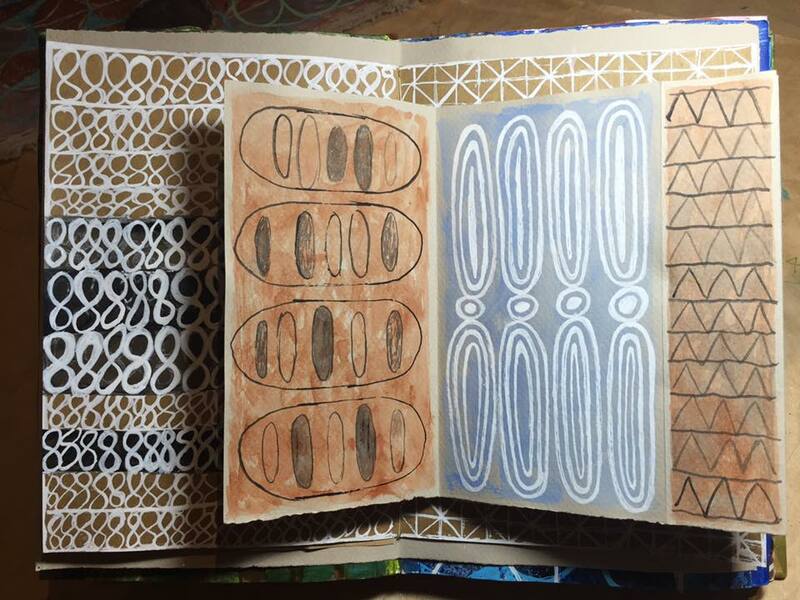 Last year preparing work for exhibition in the US I revisited the Journal from my Millennium Seedbank Residency in October 2011. Trawling through pages of this journal it struck me how difficult it's been to process the incredible wealth of material & stimulus stemming from consecutive residencies into a form that captures precisely what I would most like to share from it all. Competing agendas, like making sure the calendar contains enough paid gigs coming up, enough workshops to balance the books... all that is distracting as much as its crucial. 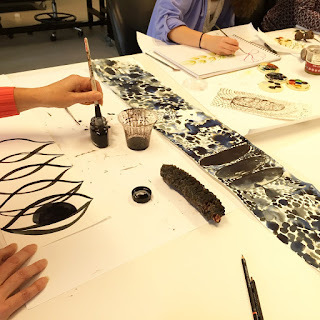 Launching a workshop program in 2015 was important for many reasons ... it took a great deal of time and energy to grow it into the experience it did actually become. I'm so delighted to have shaped a course that brought together enthusiastic people from widely varying disciplines & interests, merged aspects of Seed Science with Art, artist books and new ideas in a refreshing way, growing a kind of online community as a result. 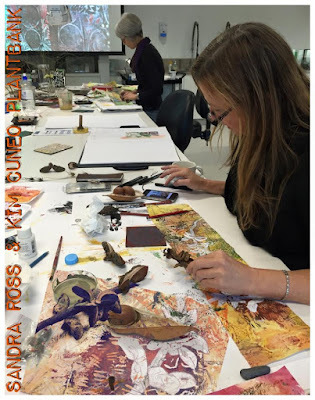 A flyer from a 2 day workshop held north of Brisbane in April. That more that anything did prove to take a lot of time in the last few years. As many find who teach there is less time for one's own artwork. Yet... there is a brilliant opportunity to review what one values, the core material of ones own practice and teaching. 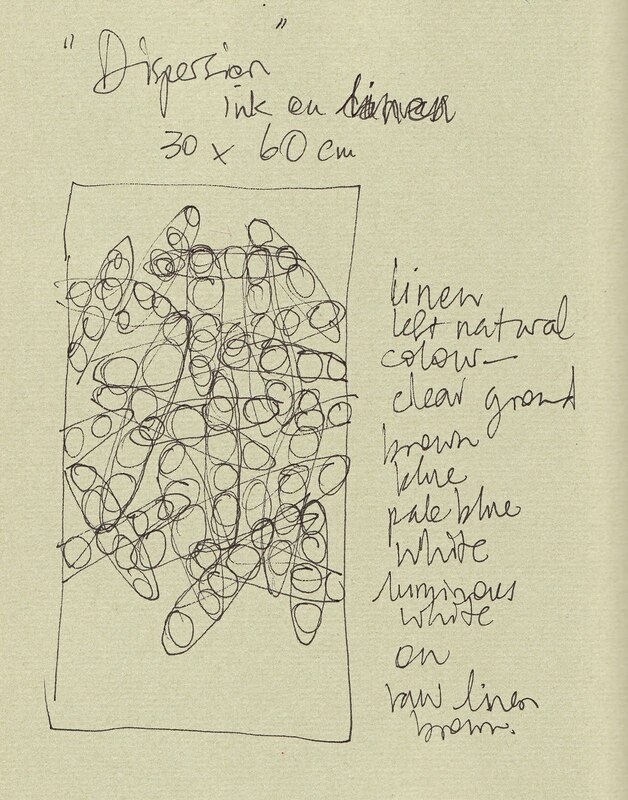 And that all feeds back into the Art practice even if not in such obvious ways at the time. 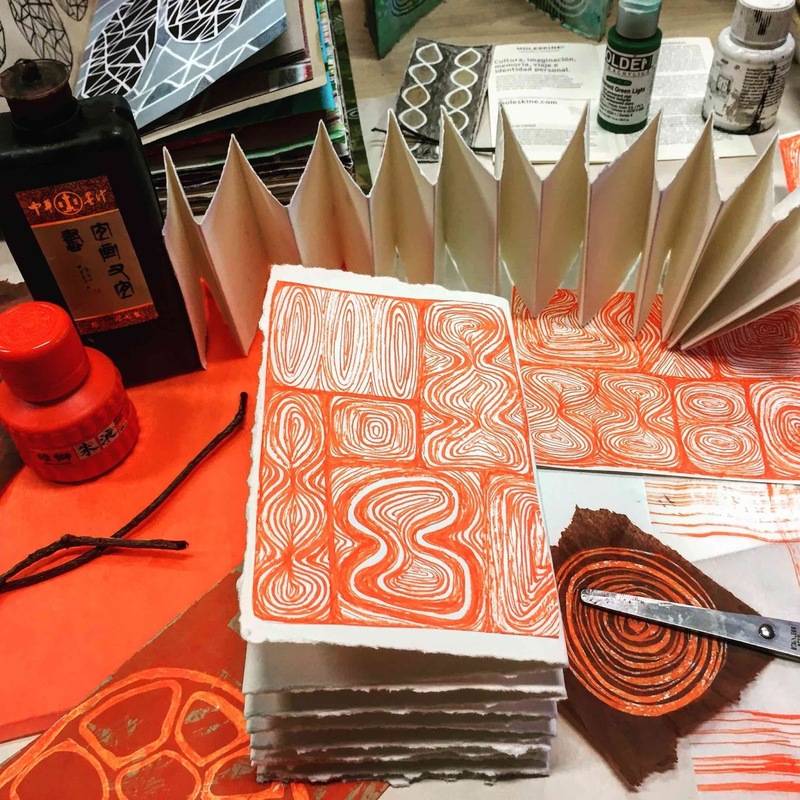 A strong focus on small works, concertina books and artist's books was reignited during the intensive period of teaching. 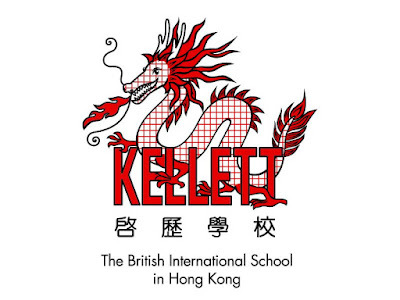 I'm currently preparing for a November residency In Hong Kong at the Kellett British International School and working on several other projects. View of work as it was being completed ready to send. 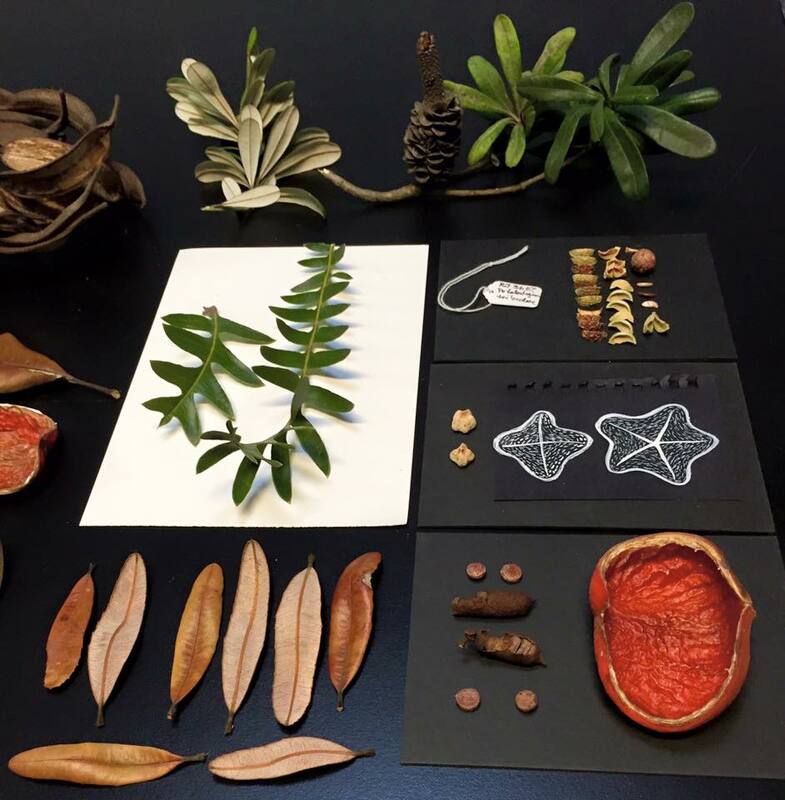 I was thrilled to be sent several of these stunning pods among a collection of seedpods from rainforest species in the Wet Tropics. They were mostly found in the actual Daintree River by David. 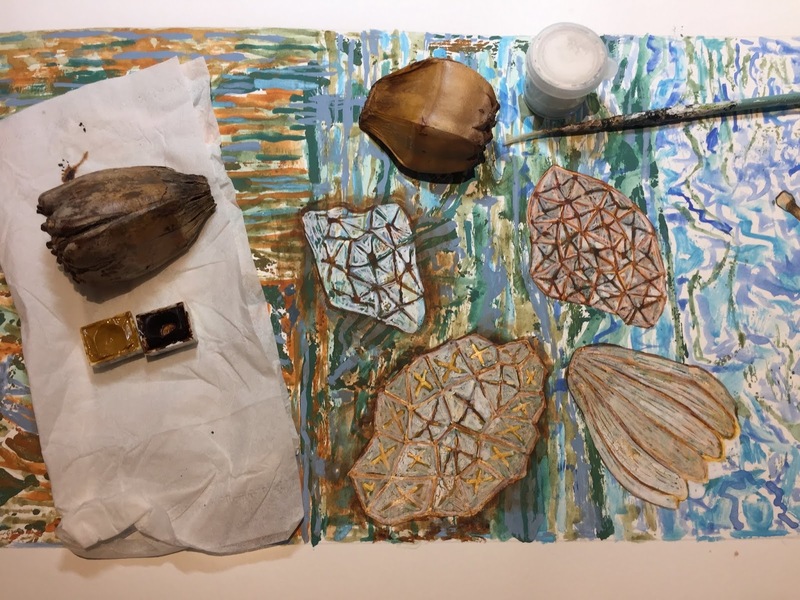 He scooped the pods from the river, dried them out then shipped them to my studio SEEDARTLAB … so this work is in part a tribute to that wonderful surprise but also to the extraordinary biodiversity of the tropical north of this continent. The finished artwork was professionally scanned with a 600 MB file so I can offer Limited Edition Prints. That file is too large to share even at a drastically reduced size... hence this image above. 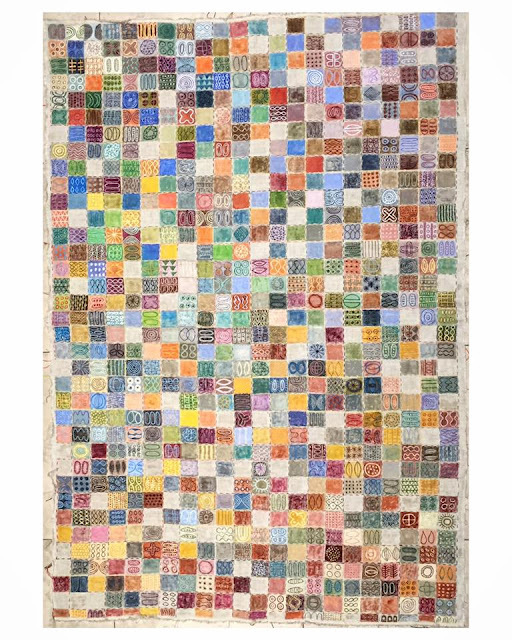 A strong motivation behind this cloth is in part informed by my work to understand the concept and implications of preserving Seed Diversity. I gradually came to understand the role of organisations involved in this work. 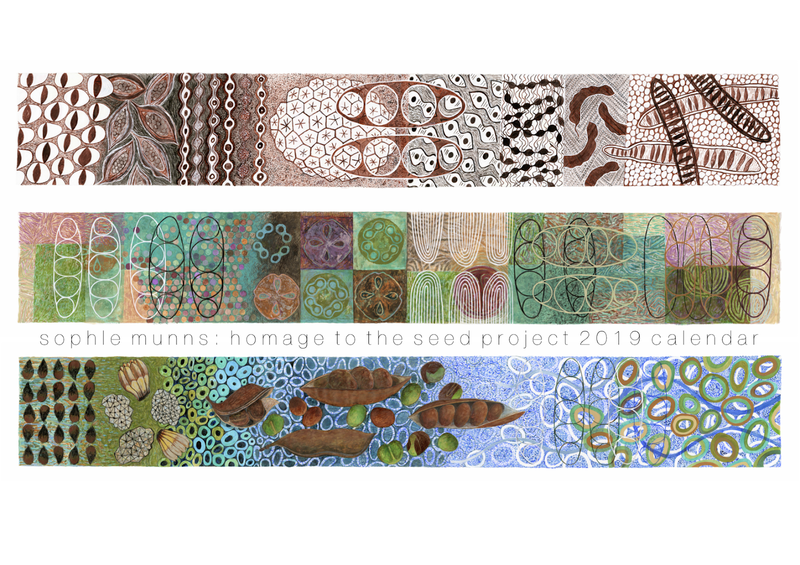 When I began the Homage to the Seed project I discovered the politics around seeds frequently brought considerable negativity to the science of seeds, and the institutions & organisations working with seeds. irregardless of the nature & focus of the work. The caretaker role of some of the most crucial mechanisms in place to conserve seed diversity was treated with as much suspicion & contempt as the transitionals profiting from their patented seeds. For this reason I pursued the public discourse around this work, asked many questions when on residency in laces like the KEW Millennium Seedbank ... until it became clear that Seed Conservation and the concept of Seed Diversity was simply not widely understood ... I found I talk to that through my work. I have an project with the Crop Trust at the moment ... an international organization working to "safeguard crop diversity, forever." This organisation has been a ongoing isourse of information since 2011. 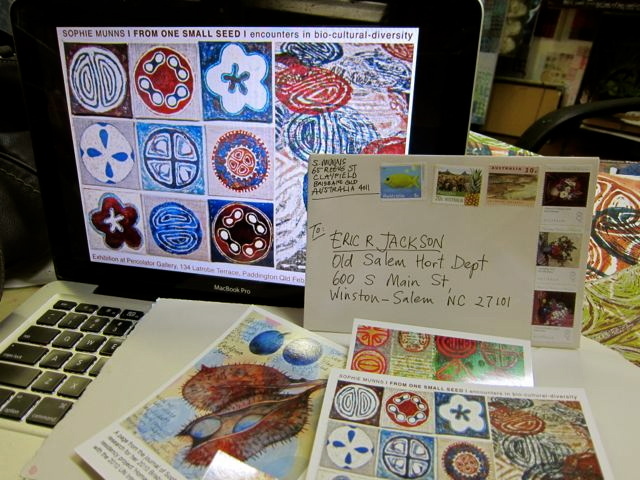 My artwork was shown in their Annual General Report for 2014 and in a Xmas card in 2014. 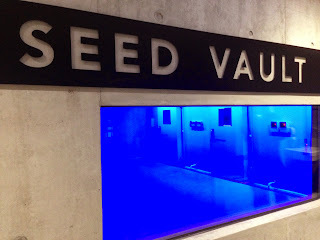 Based in Bonn, Germany they collaborate with many key organisations to preserve seeds … specifically Crop Diversity around the globe, partnering with organisations like the KEW Millennium Seedbank in the UK and crucial gene banks holding genetic diversity of wild relative species as well as cultivated crops and landraces. So for now... on with the preparation for Hong Kong and completing work over the next month before I leave. 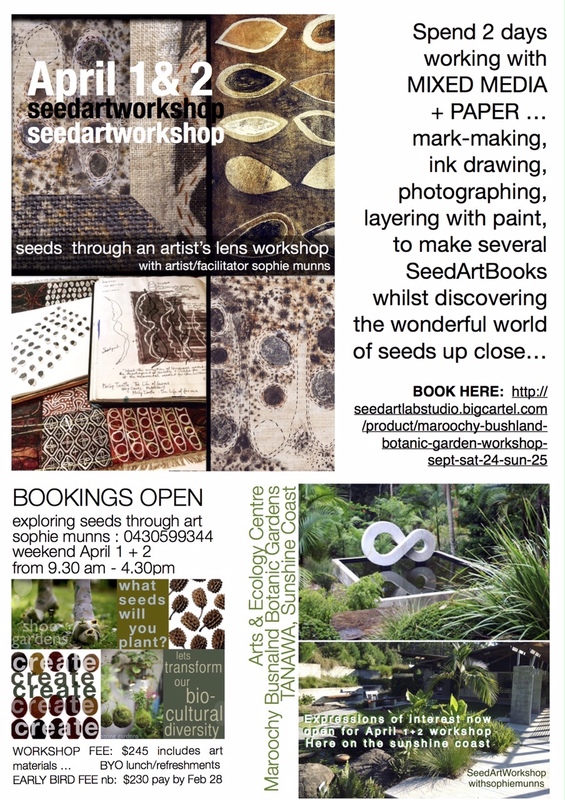 Phone 0430 599 344 to visit Seed.Art.Lab Studio near Gympie Rd, Chermside on Brisbane's Northside! 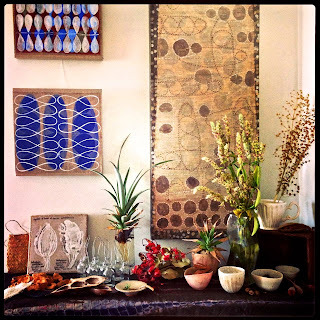 Studio photo by Elizabeth Santillan. 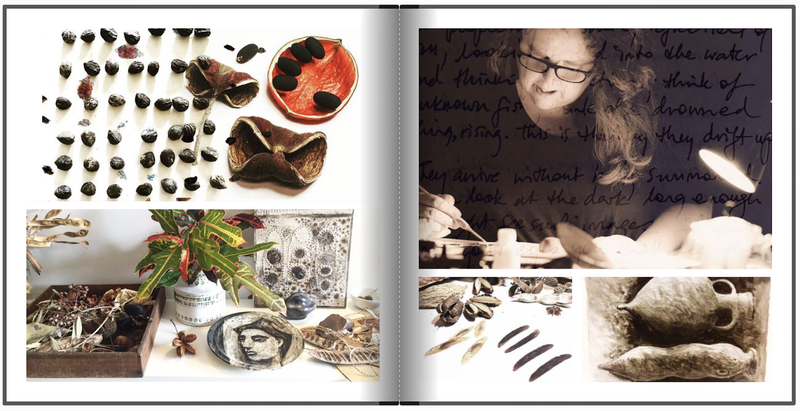 Click on image to visit her website "Walk among the Homes"
Contact Sophie about workshops, teaching, residencies, artist talks, art commissions + mentoring. 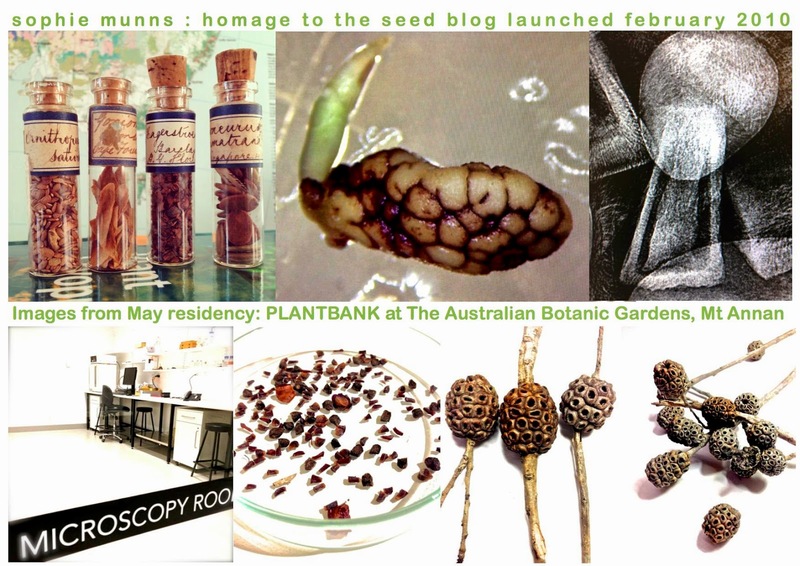 Click on image to go to the Homage to the Seed blog! High Quality Limited Edition prints on stretched canvas! 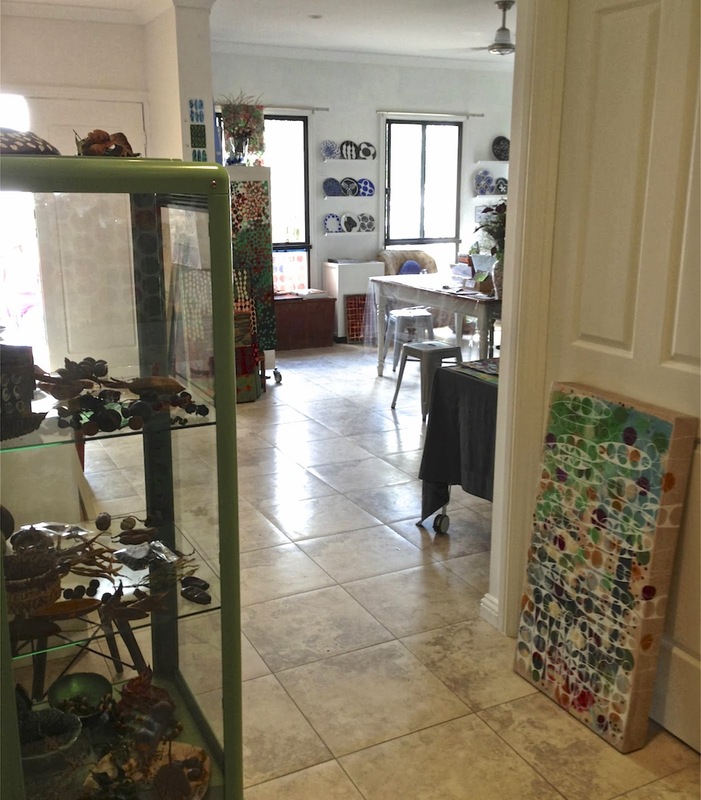 Click image to read all about what is on offer! Click to view artworks at Studio Archive site! 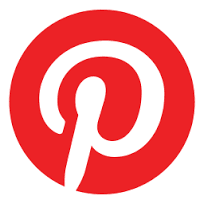 Click to visit Sophie Munns at Pinterest! click to visit Sophie on IG! 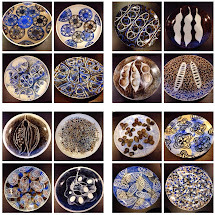 click on image above to visit ABOUT ME for all other online links! Blogging for me is an extension of keeping a journal which I have done in various forms over the decades. The difference being this is not a closed book! 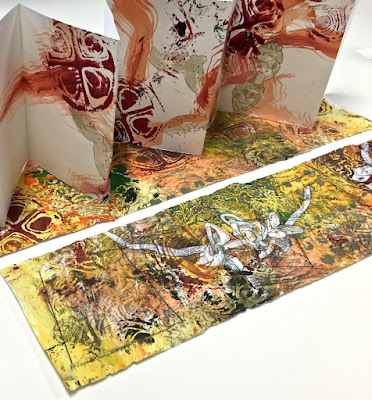 I like that it offers an opportunity to explore that which concerns me as an artist and as an individual about living and participating in this vastly complex, unquestionably exciting yet unnerving time in human history. 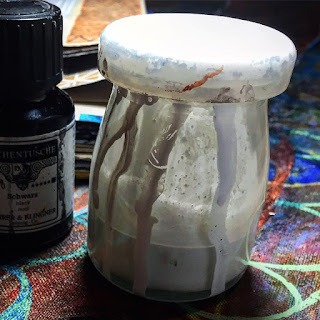 Through the blog I hope to increase the possibilties for cross-pollination which I believe can strengthen the sense of being part of something both personal and universal that is vital, expansive and refreshing. celebrating the first year of blogging! 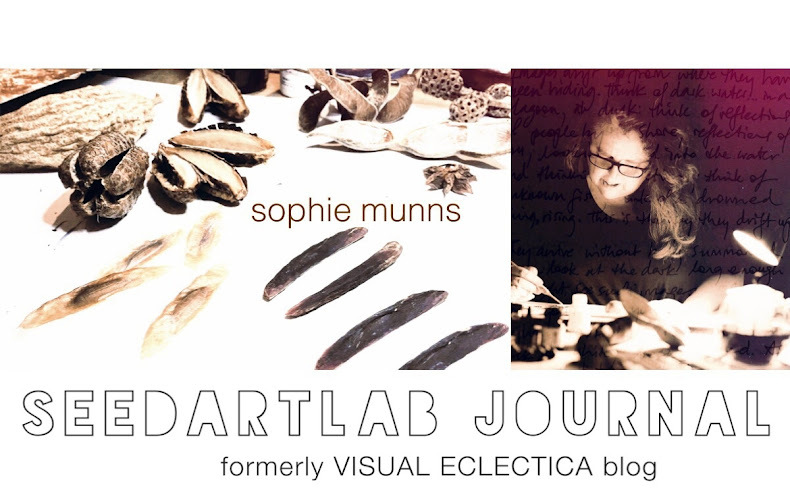 blog... + visual eclectica : sophie munns + ... Ethereal theme. Powered by Blogger.